Sign Up for Dog Cancer News and Receive Discount Offers! 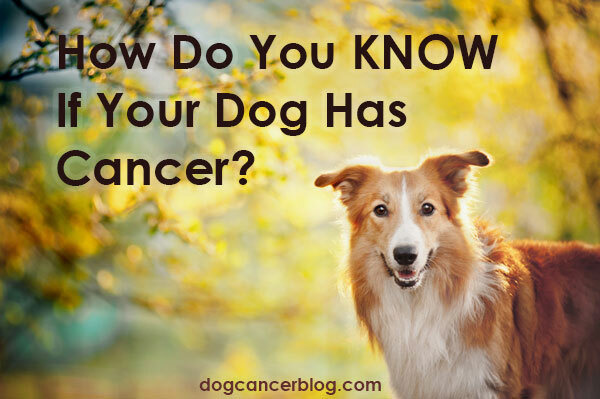 How do you know if your dog has cancer? Well, no one can tell by look or feel. You have to test. Learn how veterinarians diagnose and stage cancer. Homemade cleaning supplies are easy to make and way safer for your dog with cancer than commercial products. And they work great! Is The Cause of Breast Cancer in the Water? Hemangiosarcoma, Mammary Cancers and Plastic Link? Do raw diet dogs have to change what they eat after a cancer diagnosis? Is a raw diet good for dogs with cancer? NOT THE PRACTICE OF VETERINARY MEDICINE - The material available on this web site, without limitation, is provided for informational and educational purposes only and is not meant to take the place of the advice of your dog’s veterinarian. We cannot examine your dog and/or give you veterinary advice. Only veterinarians who examine your dog can give you veterinary advice or diagnose you or your dog’s medical problem. If you are viewing this site and have come here because your pet is ill, contact a veterinarian IMMEDIATELY. Your reliance on the information you get from this website is solely at your own risk. If your dog has a specific health problem, contact your veterinarian. Also note that while we frequently update our content, veterinary information changes rapidly. Therefore, some information may be out of date.